Increasingly, enterprises opt for the devolving of their products and equipment to specialized responsible storage. That allows considerably economize logistics operations: to pay only for the actual volume occupied. Enterprises are not required to bear the cost for maintaining their own storage space. “Tessa” company offers secure storage of any cargo in Vladivostok. Commodities are stored in the secure and spacious storage area of 5 000 square meters, with modern climate handling equipment. We carry out all operations related to the acceptance, storage and shipment of goods, order picking, and dispatching them to end-users all over the country. What benefits do you get devolving the logistics to “Tessa?” experts? Equipped with convenient access for heavy trucks. The car ramp and railway siding are also available. The maintenance of its own warehouse becomes unsupportable burden on the companies’ budgets, significantly increasing the cost of the finished product. Transferring commodities for safekeeping, you can optimize costs paying only for the required warehouse operations and avoiding downtime of space in the low season. Focus on the development of their business, entrust logistics to our experts! The demand for consignment storage in Vladivostok and other Russian cities is growing every year. Devolving the logistics to the specialized companies allows significantly reduce the cost for maintaining the warehouse, bundling batches and delivering goods to end-users. The “Tessa” company offers secure storage of any cargo in Vladivostok. Customers benefit from the modern warehouse space with advanced climatic and technical equipment, outdoor area for storing containers and oversized cargo, qualified staff, and fleet of special equipment required. Why consignment storage can be attractive for enterprises? 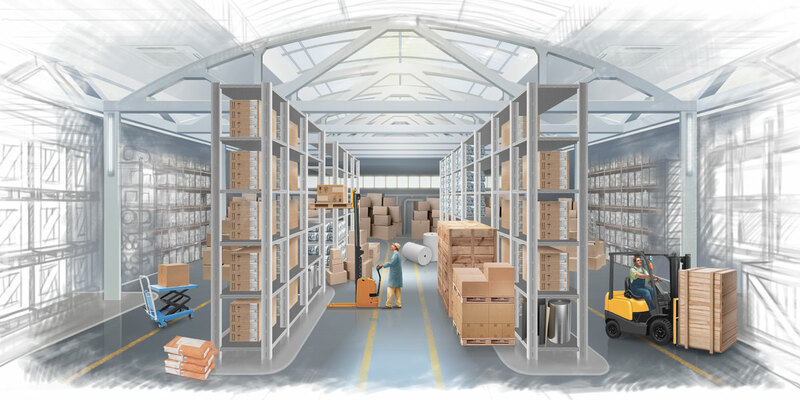 Possibility to outsource all warehousing operations such as acceptance and unloading of cargoes, orders bundling, paperwork, packaging, labeling, shipment to customers and others. Warehouses in the coastal cities as Vladivostok often serve as distribution centers. Here the containers delivered by sea from other countries are accepted, than cargos are transferred on railway or motor transport. The specialist in ports are able to bundle small batch of goods, draw up customs permits, certificates, accompanying documents for import and other papers. Why do customers trust safekeeping to “Tessa” company? Individual approach for each customer. “Tessa” company invites to collaborate enterprises, owners of multiple shop retailing, large hypermarkets, Internet shops and individuals. For further information, please contact our staff. Entrust logistics to professionals and strengthen your business without being distracted by minor matters!